Choosing energy efficient windows or deciding upon window replacement for your home can be a considerable investment. It’s important to have your windows installed by Certified Master Installers who can ensure your windows perform as designed. 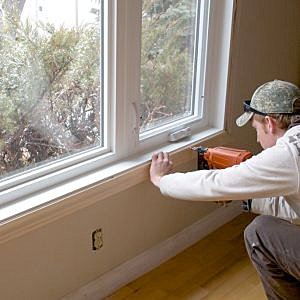 Windows installed without gaps, air-leaks or cracked joints will maximize energy efficiency. Our Certified Master installers have undergone rigorous training and we’re recognized by window manufacturers as experts for installing their products to the highest level of standards and practices. We’re knowledgeable with building codes, construction, installation techniques and we use the best materials available in the industry. You can trust Simply Yours Windows Doors to install your windows and doors on your home delivering optimum performance and guaranteed professional results. Call us for a free no-obligation quote or visit today. Our Certified Master Installers have undergone rigorous training and have years of experience for window and door installations. We guarantee high-performance windows for maximum energy savings. We begin by taking precise and accurate measurements to ensure an exact fit for the window. Seamless craftsmanship is vital so your windows will look beautiful and perform as designed. Older homes need extra care and attention so every replacement window is crafted to fit perfectly when replacing an old window. The best materials available are used to eliminate gaps and air-leaks around the structure. For correct window installation, the window must be aligned and stabilized before it is properly insulated to the structure. If your windows aren’t installed correctly it will end up costing you more in the long run. We can help you select the best windows for your needs and budget. With energy efficient windows, covered under warranty, your home will use less energy and your home will have more aesthetic appeal.